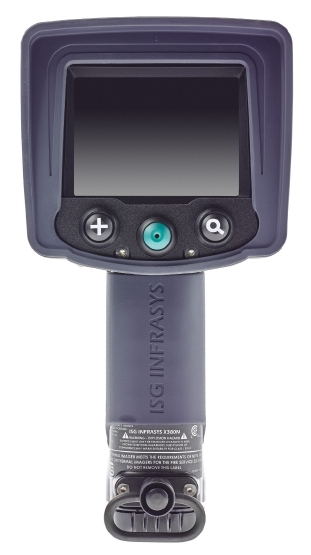 Built for firefighters, the X380 Thermal Imaging Camera (TIC) by ISG Infrasys offers the unbeatable combination of lightweight design, robust quality and situational awareness. The X380 TIC has fantastic image quality which promptly enables firefighters to fully interpret and understand a fire situation, which in turn leads to them being able to make better-informed tactical choices. In temperatures above 1000°C, a crisp, clear image can be achieved with the X380. The colours intensify from grey, yellow, orange to red as the temperature increases. The structure can also be seen through the colours, thanks to unique transparent colour capability. The X380's Intelligent Focus allows the firefighter to see an object of interest in crystal clear detail. This is achieved by the camera automatically adjusting to provide superior image quality even at temperatures above 1000°C. High and low temperatures can be switched inbetween, easily and quickly, by placing the crosshairs on the object you wish to measure.